Twice in the last six months, articles in Haaretz‘s English edition about increasingly rigid restrictions for Gaza cancer patients seeking to cross into Israel for treatment in Israeli or West Bank hospitals omitted the Israeli response: that Hamas is exploiting very ill cancer patients to smuggle money and information to terrorist operatives. In both instances, back in July and also the week, the Hebrew version of the same article included this key information about Hamas coercion of cancer patients. The omission of the Shin Bet’s information concerning Hamas’ exploitation of cancer patients insthe latest instance of the well-document phenomenon of “Haaretz, Lost in Translation,” in which Haaretz‘s English edition downplays, whitewashes, or completely omits Palestinian violence or other wrongdoing. 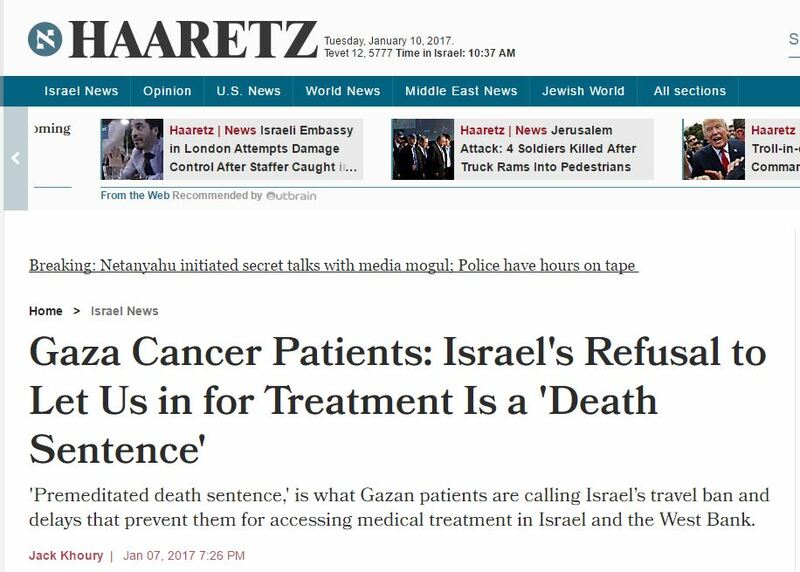 In both cases, after CAMERA’s Israel office contacted editors of Haaretz‘s English edition, they commendably added the essential information about Hamas taking advantage of cancer patients. But the question remains: how did this omission of the very same point happen not once, but twice? Most recently, early this week Haaretz published in print and online an article by Jack Khoury (“Gaza Cancer Patients: Israel’s Refusal to Let Us in for Treatment Is a ‘Death Sentence'”) about Gaza female cancer patients who launched a protest against tightened Israeli restriction. “The women say the protest follows a sharp rise in patients – especially cancer patients – who cannot leave Gaza for medical treatment in Israel, East Jerusalem or the West Bank after years of being allowed to do so,” the article states. Majar Naizi, 27, also a former breast cancer patient, was referred to Assuta for tests to locate cancerous cells. She had been treated in East Jerusalem in 2014 and 2015, but her request to leave for an examination scheduled this past November 1 was denied. Tatri entered Israel twice and received the treatments, but when she wanted to have the third round of treatments she was denied entry. Her request is “being examined” and she has already missed two appointments for treatment. The English article originally provided no response, explanation or information from Israeli authorities. In contrast, the Hebrew edition does commendably include the necessary response from the Israeli authorities. Moreover, it reports key information refuting the specific claims of patients Iman Shanan, Majar Naizi and Sihan al-Tatri. 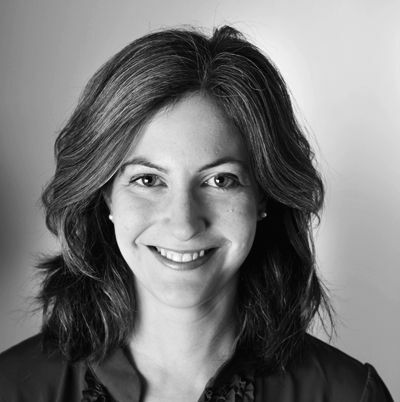 In July, Haaretz‘s Amira Hass wrote a similar article about cancer patients facing delays at the border crossing (“Ambulance Interrogations Delay Seriously Ill Patients Crossing into Israel from Gaza“). While the English article originally did not contain any response from the Israeli authorities, stating that “By press time there had been no response to Haaretz’s queries to the coordinator nor the Shin Bet,” the Hebrew version of the same article published the same day did claim a detailed, lengthy response from the Shin Bet. According to the Shin Bet, senior medical officials in Gaza were involved in issuing falsified medical certifications for money and other motives. “In some cases, the passage of imposters to Israel was done in an ambulance… and therefore the Israeli defense establishment needs to be suspicious,” it said. In this case, Haaretz did not append a note to the bottom of the article notifying readers of the belatedly added information and did not run the added information in the print edition.